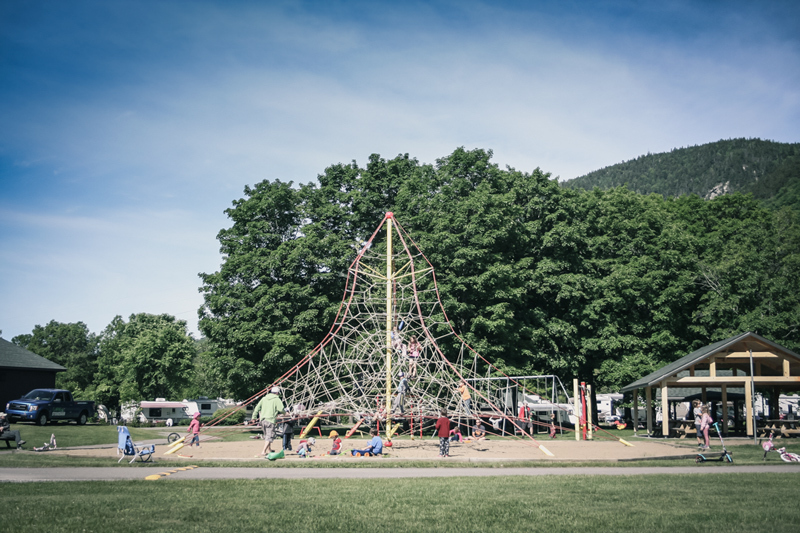 Less than 20 km from Jacques-Cartier Parc (towards Saguenay), nestled deep in the Laurentians, is one of the best campsites in the Quebec region. Convenience store, community room, playground (irons, bowling, volleyball, mini-golf), swimming pool and pond are all services that make your stay more enjoyable. Low season 10%: May 10 to June 14. 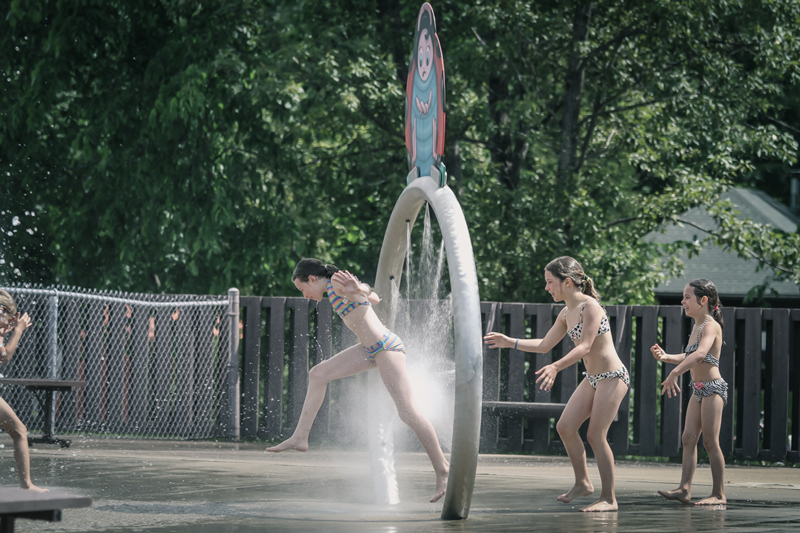 Swimming pool open from June 22rd! From 20th August 2019, the swimming pool is open on weekends only if weather permits. High Season: 8:00AM - 10:00PM. Low Season (Sunday to Thursday): 8:30AM - 8:00PM. Low Season (Friday and Saturday): 8:00AM - 9:00PM. We will take reservations by phone starting May 6th 2019! 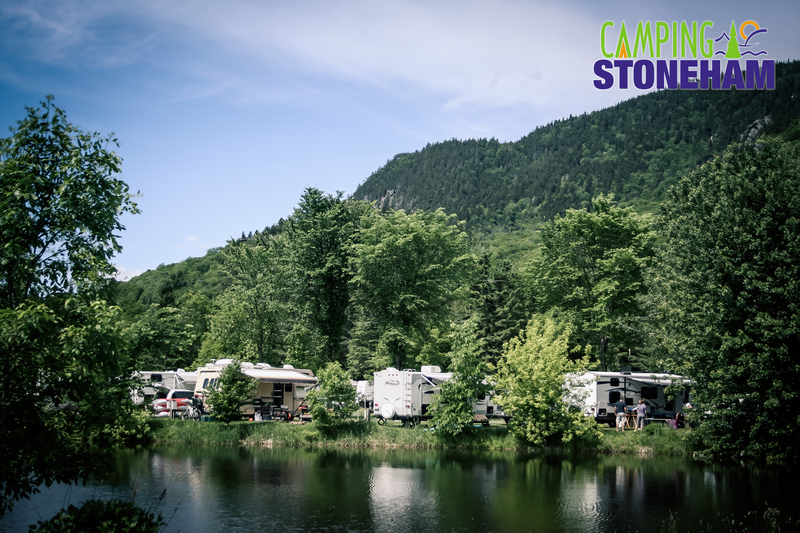 Whatever the weather, it's always a good time for camping at Stoneham! Our wooded campground has two artificial lakes. Among other activities, you can enjoy a game of volleyball or basketball, or go for a dip in our swimming pool, which is supervised by lifeguards. The pool is used both for swimming and water games. You can even go inline skating on the specially designed course around the lake. 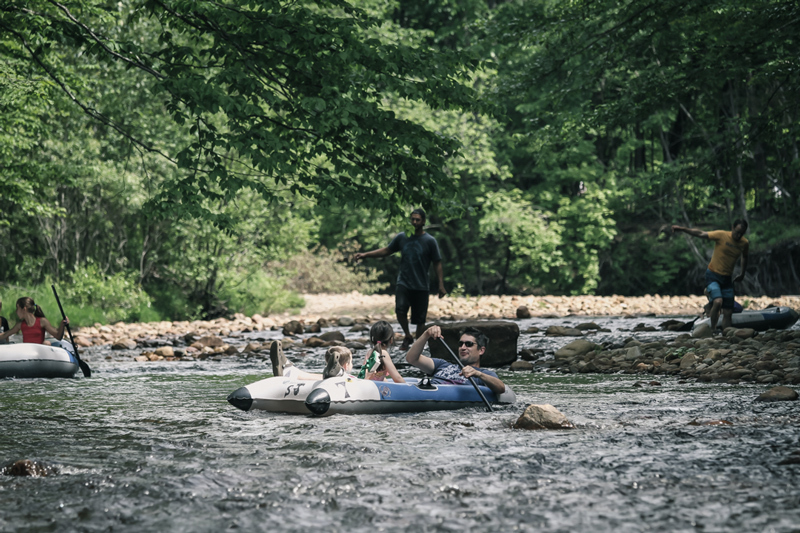 For the river descent, you must bring your own small inflatable boats or air mattresses, because we do not make the loan, nor the rent! Surrounded by rivers and mountains, come and enjoy a natural vacation! 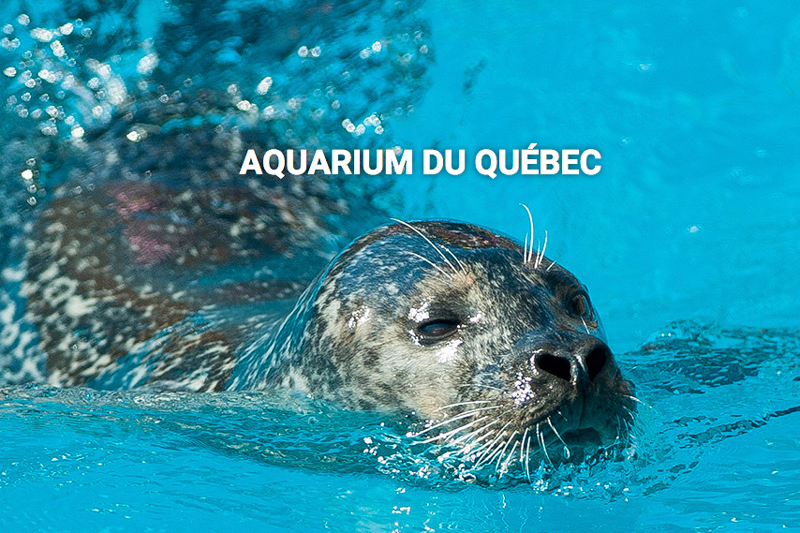 Whether amongst family, friends or as a couple, spice up your stay by taking advantage of all the activities that our beautiful region has to offer, all less than 30 minutes drive from Quebec!